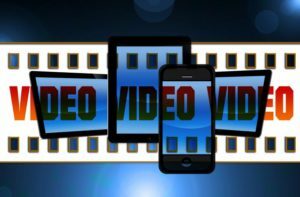 Video advertising is a trend today. So, to be able to have an effective marketing strategy, we have to take advantage of the trend. Video advertising is a digital advertising that is very effective for brands especially when you have the right strategy. Creating a video might seem intimidating. You might think that you have to have the right skills to be able to do so. But as most skills, it can be learned. And you are in luck because, with our years of experience, we are here to share with you some of the tips we have gathered along the way. Make your brand be known. The main reason to have the advertising is to make your brand be near to what we call a ‘household name’. But of course, you must take it a step at a time. So, focus on making your brand known. You can emphasize your brand by using large and clear logos. Larger logos can help in making your brand a familiar name. This is especially true for those who watch the video on their mobile device. A small logo could be lost in the device’s small screen. As for every advertising, it is an SOP to include a call to action. For converting a view to a prospect is the number one goal. Different tones in an ad serve for a different purpose. It is different for every type of audience you target. Using the right tone could help you attain your goal. With years of experience, we are an expert in making the perfect video marketing for whatever you need. Give us a ring or leave a message now and we’ll be glad to help!